Before the Chinese Communist Party took power, China lay broken. Today it is a force on the global stage, but remains haunted by the past. 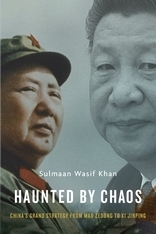 Sulmaan Wasif Khan chronicles the grand strategies pursued by China’s paramount leaders: Mao Zedong, who unified the country and kept it whole; Deng Xiaoping who dragged that country into the modern world; Jiang Zemin and Hu Jintao, cautious custodians of Deng’s legacy; and the powerful, insecure Xi Jinping. Despite the costs, China’s grand strategies have been largely successful. But success brings significant challenges—ones ever more pressing in the twenty-first century.